The Blog What Does Homeowners Insurance Cover? If you own a home, you will most likely need homeowners insurance. In fact, unless your house is paid off and you own it free and clear, you are probably required to have homeowners insurance at all times. To make sure you maintain the coverage you need, most mortgage companies add the cost of your homeowners insurance to your monthly total and then hold the amount in escrow, then make your insurance payment for you when it is due. If your home is paid off, homeowners insurance may be optional but unless you can afford to withstand the loss of your home or any claim that may be made against you as the owner, you should have a good homeowners insurance policy that meets your needs. Standard homeowners insurance policy provide coverage for loss or damage to your house and possessions. Policies also cover liability if someone is injured on your property and can provide additional living expenses, such as the cost of living away from home if it becomes uninhabitable because of a covered disaster. Homeowners insurance policies will typically pay the cost of repairing or rebuilding your house if it is damaged or destroyed by fire, hurricane, hail, lightning or other disasters. Most homeowners policies also cover detached structure on your property, such as garages or sheds, for up to a percentage of the total amount of insurance you have on your house itself. Most standard homeowners insurance policies do not pay for damage or destruction caused by floods or earthquakes. You will need to need to purchase an additional insurance policy if you want coverage against those or other natural disasters that are not listed in your standard policy. When you purchase coverage for your house, be sure to purchase coverage that is sufficient to rebuild the structure if it is destroyed. If your house is destroyed or heavily damaged, chances are a lot of your belongings will be lost as well. That’s why most standard homeowners insurance policies also cover lost furniture, clothing and other personal items. In most cases, coverage for your personal belongings is a percentage of the insurance value you have on your house itself. However, you can purchase insurance for more or less than the standard amount, depending on your needs. The best way to determine how much coverage you need is to make an inventory of all your everything in your home. After you have completed your inventory, talk with your insurance agent or broker to purchase the amount of insurance you need to protect yourself from loss. Coverage for personal belongings may also include items you own that are stored in another location, or items you may have with you when you are away from home. For example, if you own an expensive guitar that is stolen while you are traveling, it may be covered by your homeowners policy. Keep in mind that if you are a professional musician and travel with your guitar to earn money, your homeowners policy would probably not cover the loss. In that situation, you would have to buy a policy that specifically covers guitars used for business purposes. Some expensive items, such as jewelry, art, collectibles and silverware may not be covered for their full value under a standard policy. If you want to insure are covered, you’ll need to get each item appraised and purchase an endorsement or floater policy for the full value.Your standard policy may also cover damage to any trees, plants or shrubs that are destroyed by fire or other natural disaster. Homeowners insurance will not, however, cover damage cause by disease or poor maintenance. If your home is destroyed or uninhabitable because of heavy damage, you’ll need another place to live until your home is rebuilt or repaired. That’s where coverage for additional living expenses (ALE) comes into play. ALE will cover the costs of a hotel, restaurant meals and other expenses that you incur while you are unable to live in your house. ALE will not cover normal living expenses but only those additional expenses you would not normally have. The ALE coverage in most homeowners policies has limits for both the maximum amount of payments and the length of time the insurance company will pay your additional expenses. However, those limits have nothing to do with the amount of coverage to rebuild or repair your house, and your insurance company will continue to pay the cost of rebuilding your home, up to the limits of your policy. 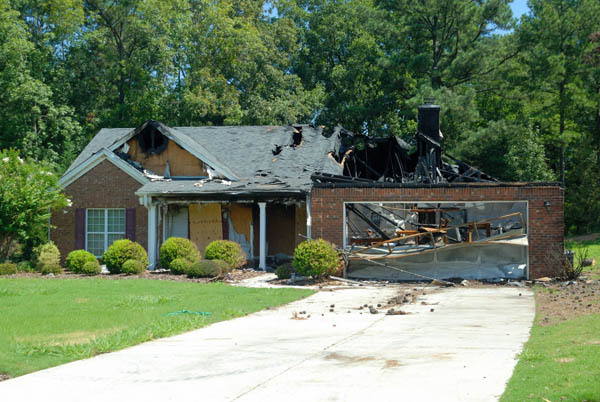 Homeowners insurance does more than protect your house and belonging from damage or loss. It also protects you against lawsuits for property damage or personal injury that takes place on your property or is caused by you or a member of your family. Most policies even cover personal injury or damage to someone else’s property that is caused by your pets. Most homeowners policies provide no-fault medical coverage, so if a visitor is injured in your home or on your property, they can submit medical bills to your insurance company. Your homeowners will not pay medical bills for you, your family or anyone else who lives in your house. Your policy will pay for both the cost of defending you in court and any damages the courts may award up to the financial limit of your policy. Liability limits usually start at about $100,000 in a standard homeowners policy. You should talk with your insurance professional to learn if should purchase additional protection. If you have a lot of assets and need more coverage than available under your homeowners policy, you may want to consider purchasing an umbrella or excess liability policy.